Home » Competition » South Africa » FOOD COMPETITION ! WIN Shan Hampers valued at R300! FOOD COMPETITION ! WIN Shan Hampers valued at R300! AND tell us WHICH SHAN SPICE BOX YOU LOVE MOST? 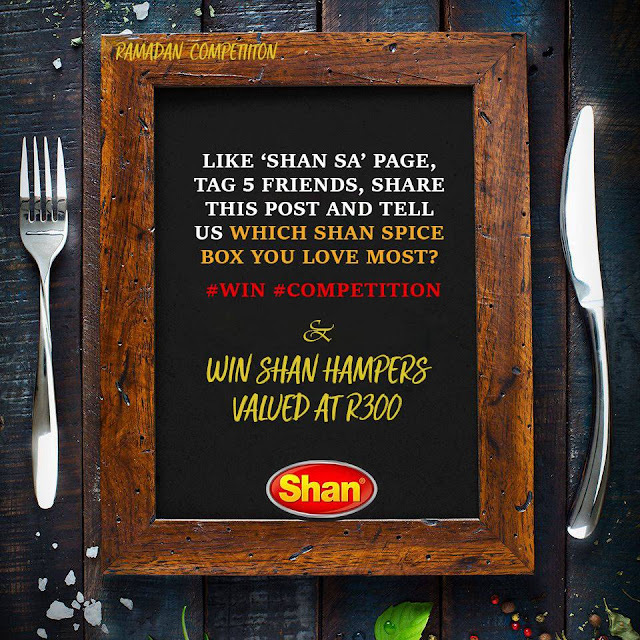 WIN Shan Hampers valued at R300!